The Western Morning News was named best daily newspaper in the South West yesterday while the Western Gazette took the weekly crown. This year’s EDF Energy South West Media Awards, held in association with HoldtheFrontPage. were handed out in a lunchtime ceremony at the Bristol Hotel in Bristol. There were three awards for the Bristol Post including Specialist Journalist of the Year and Digital Journalist of the Year but it was pipped to the Daily Newspaper of the Year prize by Local World sister title the WMN. Plymouth daily The Herald took two awards with the Newcomer of the Year and Daily Journalist of the Year prizes. Western Morning News editor Bill Martin said: “This is a fantastic recognition of all the hard work the Western Morning News does to champion the Westcountry and stand up for and stand by the issues that really matter to the people that live and work here. 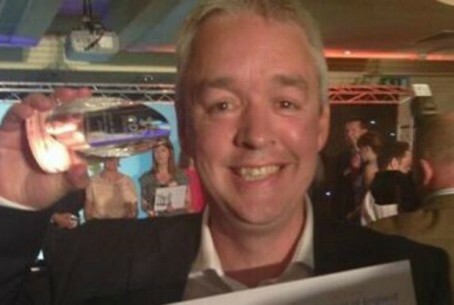 Coverage of the winter floods figured heavily among the winners with ITV News Westcountry picking up Television News or Current Affairs Programme of the Year, for its coverage of the Dawlish rail line collapse. BBC Radio Somerset’s Ben McGrail Programme won best Radio News Programme, for its coverage of the floods which struck large parts of the county while the Helston Packet won Front Page of the Year for ‘Storm Force’, with a striking image capturing the moment giant waves engulf seafront buildings on the Cornish coast. Now in their tenth year, the awards honour the best in local journalism in Cornwall, Devon, Somerset, Gloucestershire, Wiltshire, Bath and Bristol. Congratulations to all the winners. But wait… Nothing for the Western Daily Press? I remember the day when it scooped almost everything – even on the national stage. Could its sad demise be anything to do with the quality of its recently appointed management? The Western Daily Press passed away about three months ago I think. Looks like a case of downANDout. But is this really true the WDP has finished? I knew a few old sods who worked on it once upon a time and they won’t have heard (rest homes etc). A chance to recall very happy days, maybe. Can someone please set the record straight? I don’t know the Western Daily Press either then or now but just to say winning a little plastic thing is not always the sign of a good paper, day in day out. It’s the sign of a paper that likes (needs?) to win awards, for whatever reason.